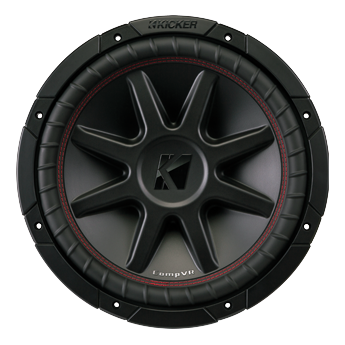 The KICKER® CompVR® Subwoofer gives you incredible bang for the buck. Emphasis on bang! To get the most out of your amp, every CompVR comes in two or four-ohm dual voice coils. Our red surround stitching binds the suspension perfectly to the cone, while SoloKon™ marries the woofer and back brace into one, cohesive system. 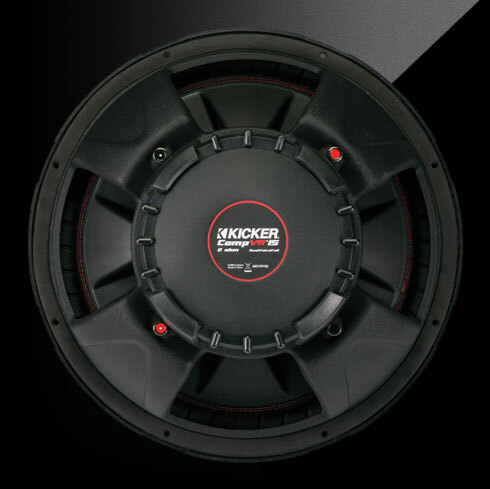 KICKER uses an advanced heat management system. Perimeter venting allows air to circulate while our UniPlate™ system redirects even more heat away from the motor. 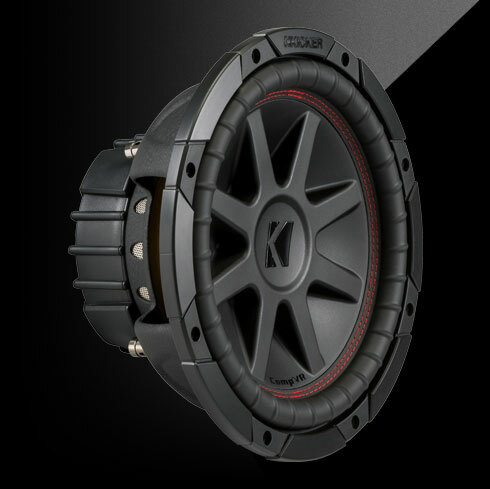 You get a cool, reliable speaker that lasts and lasts. 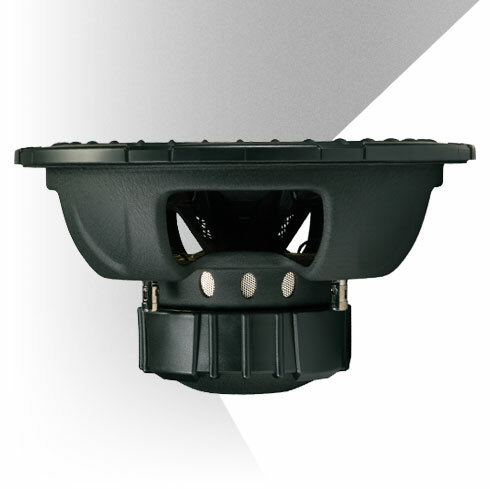 A stamped steel basket holds vibration at bay while a pair of high-temp voice coils move an injection molded woofer hundreds of times a second, giving you strong, distortion-free bass.